Now six months after quitting my job, we are earning a full-time income. Now some of you might be thinking I must be crazy sharing our blog income publicly. Honestly, it’s extremely scary still! 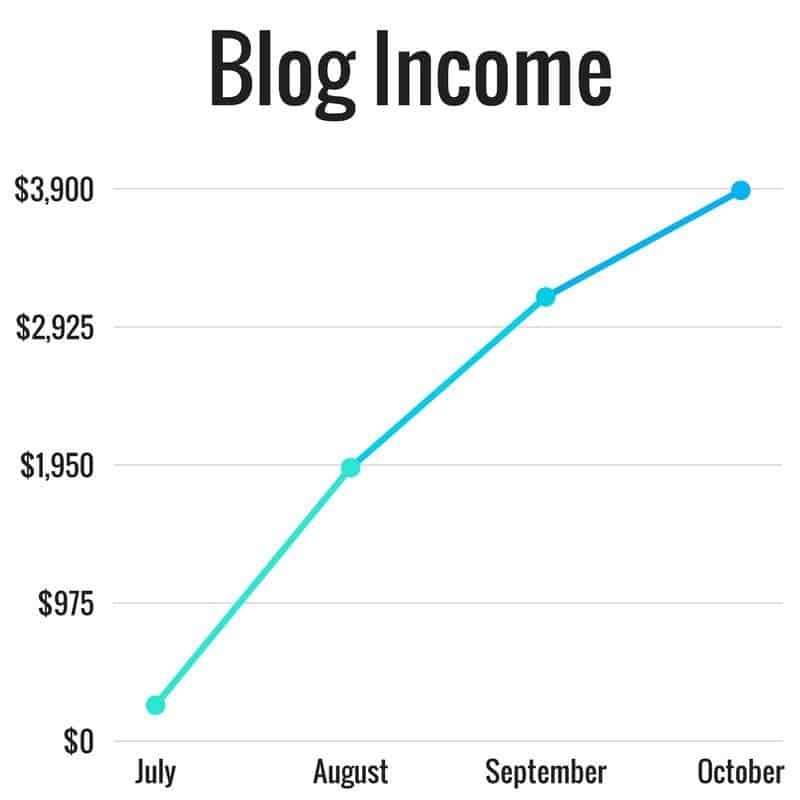 As much as I LOVE talking about money, sharing our blog income is still a challenge. It’s a lot of pressure each month to try and beat last months numbers. I know that sounds stupid, but it’s true. I want to continue to see our blog grow every single month. I know that’s not realistic as it’s a business and there will be ups and downs. The biggest lesson I have learned after becoming an entrepreneur is that you MUST stop caring what others think. Life is way too short to have others hold you back from going after your dreams. Before we started blogging, I was caught up switching from job to job trying to find what would make me happy. I was an insurance salesman, office manager, Amazon store owner, UPS driver, and jail deputy before I had finally realized I would never be happy at a “normal” job. After leaving my job to run our site full-time, I replaced my income within a couple of months. It was an incredible feeling to have a dream and make it become a reality. The only regret I have is not starting our blog sooner. I was introduced to them in high school and thought they were dumb. What a mistake! The Good: We had an incredible month for sponsored posts on our site. This is by far the easiest money I have ever made. I spent a total of three hours earning the $1,300 from the sponsored posts. It would be incredible if we could have this happen every month. Our traffic was at an all-time high (80k+ page views) due to a post going viral on Pinterest. It really helped drive traffic all month long which was incredible. We finally topped the $1,000 in ad revenue which we are so excited about. I am continuing to teach English online through VIPKID. I get paid $20 an hour and get to set my own hours. I teach around 1-2 hours each morning before working on the blog. It’s literally the perfect side hustle! We had our first couple blog coaching clients. We really enjoy doing these phone calls and know we can provide great value to other bloggers that are struggling. The Bad: With a viral post the traffic is only temporary. We are concerned that our traffic is going to drop significantly next month, which will impact our blog income. We had a problem switching from HTTP to HTTPS which caused our site to be down for several hours. Luckily that’s behind us now. Glad we made the switch. Facebook did not like me this month. I got temporarily banned from Facebook groups for a full week. Not being a part of our incredible blogging community sucked! I missed you guys hahaha. If you have been thinking about starting a blog there is no better time than the present! Our biggest regret is not starting one sooner. More than 100 people have taken our FREE 7-day blogging course and we have received incredible feedback. We go over everything you need to know to start your blog, drive traffic, and earn your first income. Seriously, we want to help you change your life forever! If you don’t already know, blogging is 20% content creation and 80% marketing it to the right people. If you are struggling to gain traction with your blog we offer 1-hour blog coaching sessions that would be very beneficial. Since time is limited we are not cheap, but we guarantee we will provide an immense amount of value. Be sure to join our FREE Facebook groups! Below is our monthly breakdown and review of our social media growth. This is another great tool we use to analyze our efforts and ensure we are focusing our time where it needs to be. Every social media platform we grew from ZERO followers. It’s great to see month after month the hard work pay off. We made the switch from MailChimp to ConvertKitand it has completely changed our email marketing. It was awesome to break the 80k page view this month! We crushed our goal from last month for 60k. The next two months are HUGE in the blogging world as the holiday season is upon us. We have been working hard to take advantage of the uptick in traffic this time of year. It’s important to set life goals and plans alongside your business. We have a few things in the upcoming month we are excited about. We continue to run a frugal budget, which is allowing us to save like crazy. We have the goal of having a net worth of well over $100k before turning thirty. If things continue the way they are we should have no problem achieving it. We continue to chip away at Brittany’s low-interest student loans. Most of our leftover money is going into our investment accounts. We even decided to dabble into BitCoin this month and so far so good. Our old beater cars are still running strong with no repairs last month. We drive a 2005 Toyota Camry and a 2006 Hyundai Santa Fe. Both with well over 100k miles on them. Talk about saving money, we have NEVER had a car payment and plan on keeping it that way. Looking forward to spending time with the family this Thanksgiving. Definentally one of our favorite holidays. You can check out our entire recommendations page to see all of our favorite products and service we use. Tailwind: Another absolute game changer when it comes to Pinterest! We spend maybe 2-3 hours a week on social media marketing. Our reach and following almost doubled our first month of using Tailwind on our Pinterest account. Starting last month we started this featured question section. Basically, we take one question from the comment section below and answer it the following month. We love giving back so this is a great way to try and help other bloggers out. Monthly featured question: How have you grown your blog so quickly after quitting your job? This should be a fun one! Basically, I did not have an option but to have our site succeed. I honestly went all in on making our blog successful. I committed to learning as much as I could as fast as I could. Many times new bloggers are stubborn and think they know everything already, I was one of them. The faster you can humble yourself and learn from those who are succeeding already the faster your blog will grow. 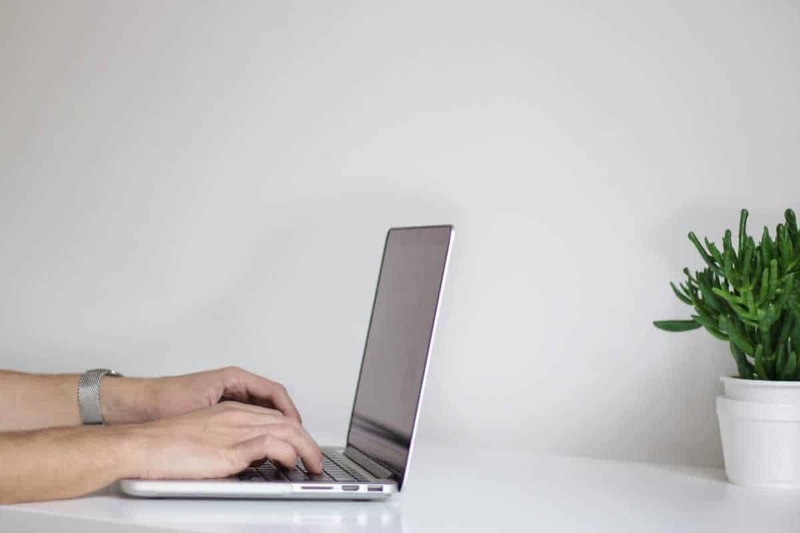 One thing that completely changed our blog was watching a free webinar hosted by Rosemarie Groner from Busy Budgeter. She had an incredible presentation about chasing ROI (return on investment). Basically making sure you are focusing on the right things that bring the most value to your blog. If you are spending hours posting on Twitter and it is not driving traffic to your blog why continue? Remember 80% of your success in business comes from only 20% of the tasks you do. Focus on figuring out what that 20% is and throw everything you got at it! Remember that a year from now, you’ll wish you started today. It’s always good to remind yourself where you want to be a year from now, five years from now, and ten years from now. Do you want to be stuck at a 9-5 job that you dread each and every week? A job that has little upside in the future? Or would you rather be making money from multiple income streams working from the comfort of your home? Or traveling full-time with the luxury of being able to work anywhere you want? Put in the work now so you can enjoy financial freedom in the future. Instead of watching another episode of Game of Thrones tonight hoping your life changes, start your blog. Thanks Dave. We are certainly pleased with the growth. Locking in those two sponsored posts really helped. It will be interested how this month plays out. Impressive growth! Glad to hear the transition from HTTP to HTTPS eventually worked out. I tried to change it over myself and ended up messing up my site, :(. Had to hire out someone to fix it. Yea definitely something your host should help you with. Bluehost had things fixed quick once we called them. Your success is an inspiration for me to keep on going and this blog is one I frequently visit to get some ideas. I would like to know how you designed that graphic at the end. We use the Canva to make all of our graphics. Wow, you guys have really started gaining some traction in the last few months, congrats. What was the FB ban all about? Not quite sure. I think it’s because I am too active in too many groups hahaha. We have reduced the groups we are in by about half. Thanks for sharing, I just started a blog and I am trying to connect with other bloggers to get valuable tips. Thanks for stopping by Marjie. Glad you were able to take a few things away from it.